Every Monday at 7 a.m., members of the Cal men’s crew team are in boats to train for about an hour and a half in either the Oakland Estuary or at a nearby reservoir. This will repeat every other day, with their only break in the week Sunday. While most students are mustering up the motivation to make their morning classes, the rowers are in the water — if not at the gym — on Tuesday and Thursday, getting ready to defend their IRA championship this season. 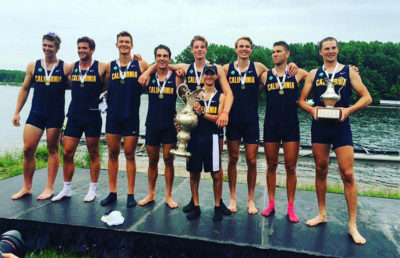 This time last year, the Cal men’s crew team won every cup except for the Copley Cup at the San Diego Crew Classic. 2016 marked a nearly flawless streak, but Cal came back with a vengeance this past weekend and set the record straight — placing first across the board in every heat they competed in. 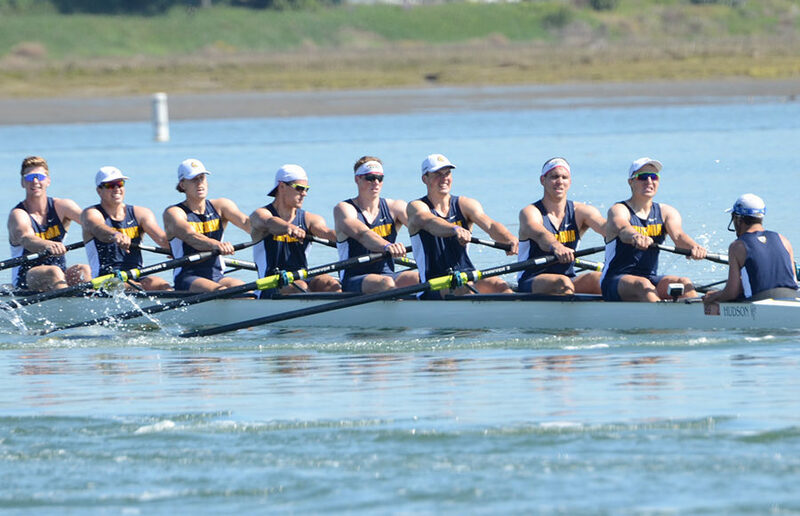 For the Copley Cup, Cal’s varsity eight swooped in first place with a time of 5:35.50 to beat out Yale, the only competitor that bumped Cal from first place last year, by a little less than four seconds and finished at 5:39.01. Stanford placed third with 5:50.02. In the Sharp Cabrillo Cup, Cal’s second varsity eight finished at 5:42.49, once again beating Yale, which finished at 5:47.18, and Michigan, which came in third at 6:05.92. The Men’s Collegiate 3V 8+ Final ended with Cal in first place with a time of 6:08:66, with UC Santa Barbara at its tail with a time of 6:30.57 and UC San Diego with a time of 6:33.72. The Derek Guelker Cup finished with Cal’s freshman eight at 5:54.35, Stanford coming in close with a time of 6:12.71, and Orange Coast with a time of 6:19.44. And in the Men’s Open 8+ Grand Final, the Bears’ freshman 8 finished at 5:54.56, while their 3V8 team came in second at 5:54.92. Even 500 miles away, the crowd loved Cal. Although away from the Bay Area, Golden Bear spirit proved alive and well. “The organizers did such a great job, we have a huge alumni base down there so we feel really welcome … to see so many familiar friendly faces and to have that support makes you feel like what you do is significant,” said Cal head coach Mike Teti. While Cal went undefeated in this regatta, Teti still wants to keep pushing the team to become even more sharp. While Cal may have had a strong start, by no means is it going to stop watching its tracks. In a matter of seconds, anything can change — but you better believe Cal will be ready to remain at the top of its game this season.